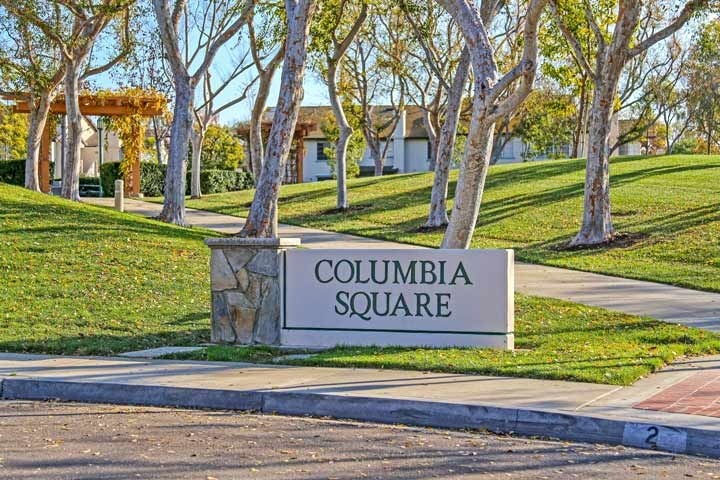 Columbia Square homes are located in the coastal community of Irvine, California. The Columbia Square neighborhood was built between 1981 to 1983 and features one to two bedroom condos that range in size from 768 to 1,480 square feet of living space. The community is located in the University Town Center area which offers close proximity to the William Mason Park area as well as the University of California, Irvine college. The Columbia Square community is under a homeowners association with two monthly association dues required. There is a nice community pool, spa, tennis, sports court and playground area for children which are included in the monthly dues. This is a great area that offers lots of open space with local biking and hiking trails. Below are the current homes for sale and for lease in the Columbia Square neighborhood. Please contact us at 888-990-7111 for more information on this community and any of the homes listed for sale here.